It is important to look professional. You do not need to spend a lot of money to do so. 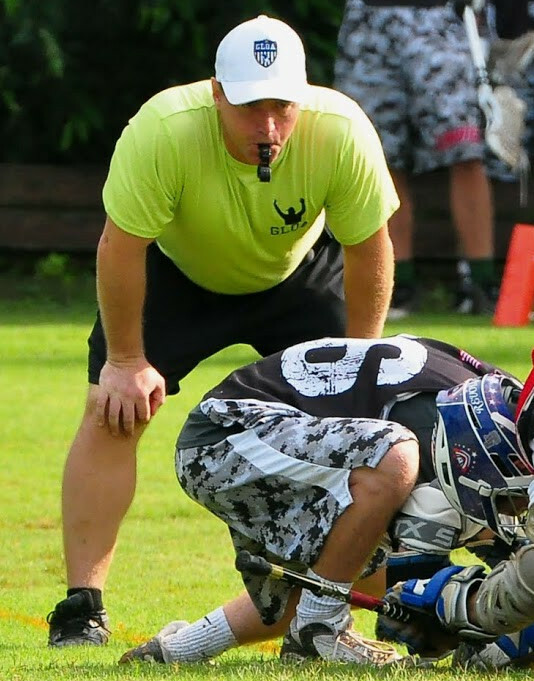 If you are a new official, focus on the key pieces: good hat and shirt and a pair of black shorts. You can always add to your collection. All uniforms should fit properly, be clean and in good shape (with no rips, tears, or holes). 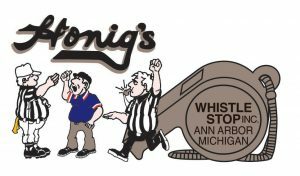 Officials paired together for a specific game shall coordinate uniforms pregame and wear the same uniform on the field as determined by the Referee. Below you will find what to buy, where to buy it and info on where your patches should go. You can also check out The GLOA Gear page for information. Undershirt Solid black t-shirt or turtleneck. Note: Any visible undergarments must be black. Shorts Solid black with belt loops, no mesh lacrosse or basketball shorts. Shoes All black; mark out any white logos or swooshes with a black marker – shined. Cleats are not required, but may be worn on natural grass surfaces. 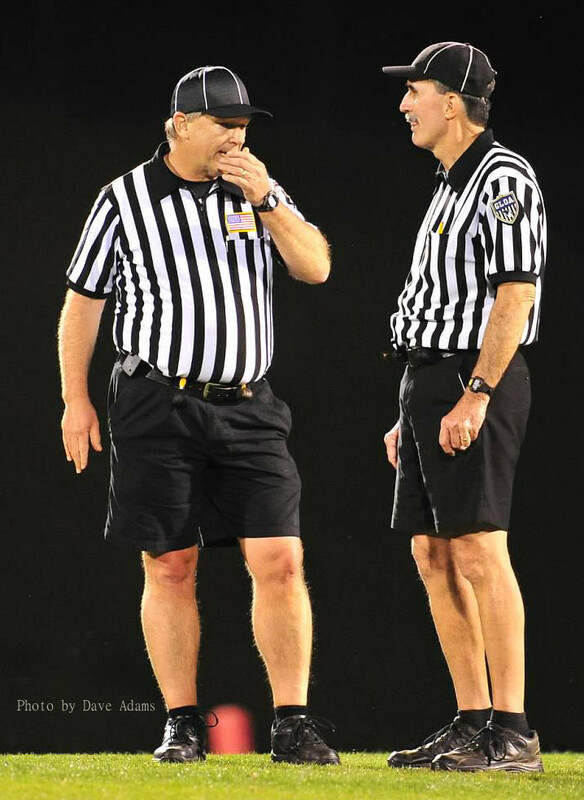 Many of our officials wear turf shoes or basketball shoes on turf fields. Socks All black ankle socks. No calf length or no-see-ums. Belt 1 1/4 – 2 inches in width, solid black with a plain buckle. Hat (black baseball style cap with white piping)- be sure to always have a nice hat! Fox 40 Finger Whistle (spare optional)- a lanyard whistle may be used for faceoffs. Digital Wrist Watch Must have countdown timer function. Flags Two yellow with black tip. Scorecard May use a plastic one or a paper one you print out or use an index card. Pencil Golf or library pencil is fine. May purchase “bullet pencil” from officials store. Coin (Half-dollar size or larger). GLOA coins are available to members who have worked two full seasons. 6’ Mini Tape Measure small, not the Bob the Builder size, but at least 6 feet. 20-second Timer There are 2 types: the 20 second timers and the 1:40/20 second timers, the later is great for managing time outs and time between periods. Coaches Certification Cards GLOA cards are available to officials who are assigned as Referees; email swag@galaxref.com if you need more or you may download a PDF on the Resources page. If you are officiating a GHSA sanctioned contest you should have a GHSA patch on your left shoulder (GHSA is never right) and your GLOA patch on the right shoulder. You should NOT wear a GHSA patch when working non-GHSA events. The top of the patch should be roughly 3 inches down from the shoulder seam. 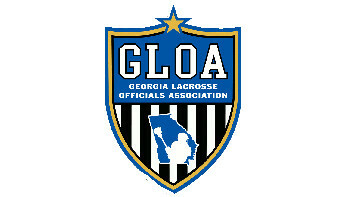 If you are officiating a non-GHSA event, you may wear a US Lacrosse Patch on the left shoulder. The top of the patch should be roughly 3 inches down from the shoulder seam. DO NOT wear the GLOA and the USL patch on the same shirt. American Flag patches are optional. They should be located directly above the pocket on the left breast. These are things you may want to keep in your bag particularly in you are working in an area where Lacrosse is a just getting started. Long Pants All black rain pants with belt loops. No white stripe. Officials wear the lime green GLOA summer shirt and the white GLOA hat for off-season games. Please note that the summer shirts do run small, so you may want to order a size larger than you normally wear. New adult officials receive a summer shirt for free. These may be purchased through the GLOA online gear store, more info on what is available can be found here. If you need have questions, email swag@galaxref.com. You can often find package deals if you are just starting out. Shorts and socks can be found at discount stores like WalMart,Target, TJ Max or Bealls. There is on store in Atlanta that we know of that sells officials gear.